“Our new Moog Test Controller is a modular system for controlling simple and complex hydraulic and electric test systems that managers can use for simple component fatigue tests to highly integrated full-vehicle, road vibration tests,” said Craig Lukomski, solutions commercialization manager, Simulation and Test for Moog Inc.
Quick set up for tests. In response, Moog’s newly developed Test Controller offers lab and project managers phased control to all the channels in a test system, along with the functionality to save the setup parameters and test profiles for later use. 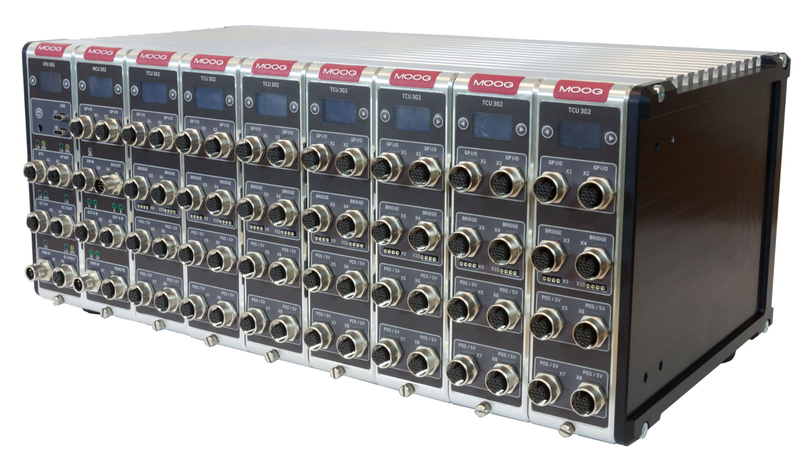 Moog’s Test Controller provides advanced control loops for improved feedback control and on-the-fly, “bumpless” transfer from one control mode to another (e.g., force to position control). Moog also eliminated the need for an external program generator to manually change command signals during a test, ensuring quicker set up so the designated test can start faster. 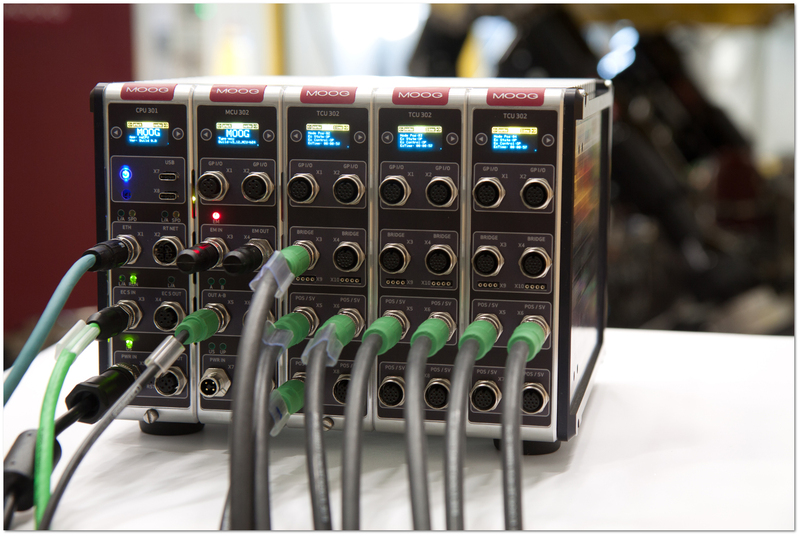 The Moog Test Controller’s built-in data acquisition for control-loop signals or connected transducers delivers lab managers real-time monitoring, too. With more digital data available via the Test Controller, lab managers can check the health of their test equipment and specimen throughout a test, which prevents downtime and unplanned maintenance. Using analog controllers with external command systems improves control and data. But the Moog Test Controller gives phased control to all channels in a system, which saves setup parameters and test profiles for later use. These increased control features including advanced control loops and sequenced tests, built-in data acquisition and saved settings make this upgrade useful to the user saving time and resources.